Ronan Curtis was the star performer as Pompey swept aside Plymouth at Fratton Park. 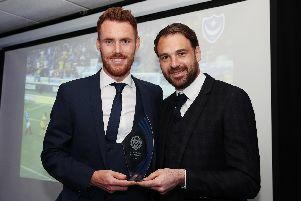 Click through the gallery to see how The News’ chief sports writer Neil Allen rated Pompey’s players against Plymouth. Use the red icon on the picture at the top or the link above to see the gallery.